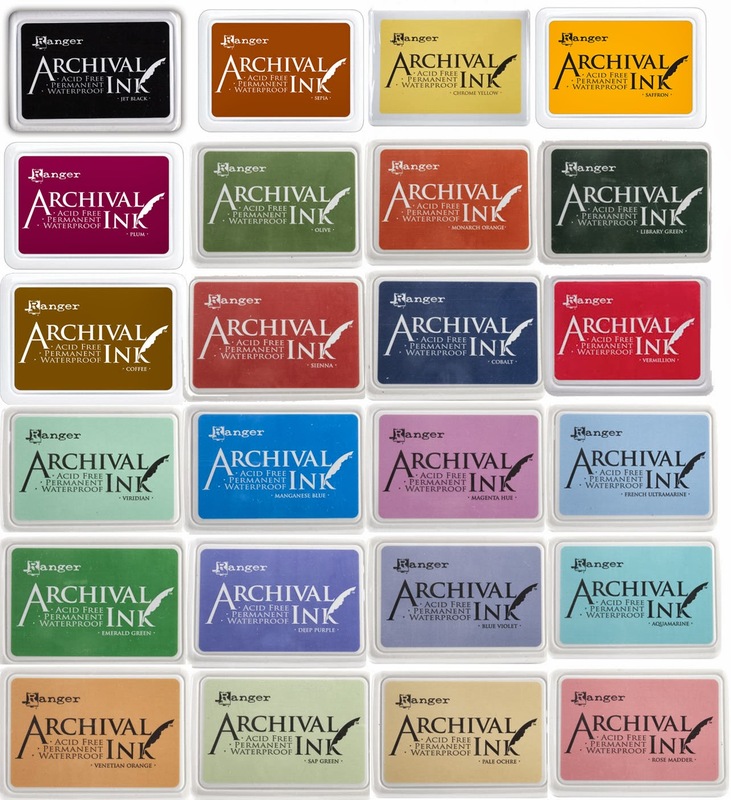 Which ink pads should I use? Many new crafters wonder what ink pad to use. Will you be colouring your stamped image, and what with? Here's a basic guide to help you on your crafting journey. 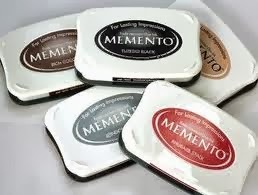 Memento- Dye Based. This is my personal favourite for using with my promarkers...the ink dries quickly and doesn't bleed, it is available in a range of colours. It can however bleed if using watercolours or wet mediums. 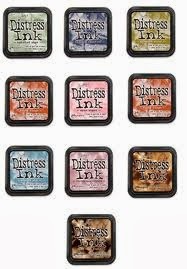 Distress Inks- Dye Based, acid free, and fade resistant. These inks are great for adding colour to a project using a foam applicator. You can also wipe the pad onto a ink blending mat, spritz with water and use a paintbrush to use like water colours. 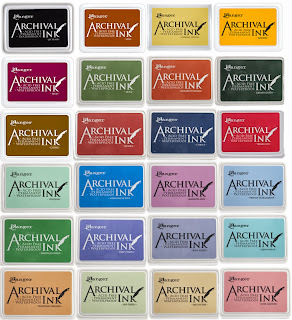 Ranger Archival Ink Pads are acid free, non-toxic, permanent on mat and gloss papers and waterproof. Great for using with watercolours acrylics and with water based inks. 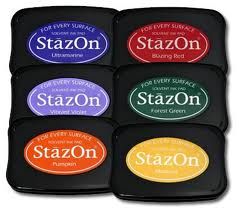 StazOn is a solvent based ink pad, it is good for using all smooth surfaces like shrink plastic, ceramic tiles and acetate. A personal draw back for me is that I found this ink took a good while to dry enough for me to be able to touch it!!! Not suitable to use with alcohol pens. 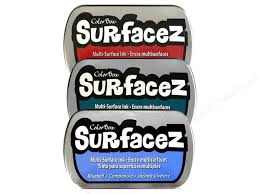 Surfacez (Colorbox)- Solvent based, this is a multi surface ink and it is available in a range of colours. It is great for fine detailed stamps, is waterproof so ideal for your watercolours and great on smooth surfaces. I've used this ink to stamp on Mirror card, ceramic and acetate and it dries really quickly only a couple of minutes. Not suitable to use with alcohol pens. 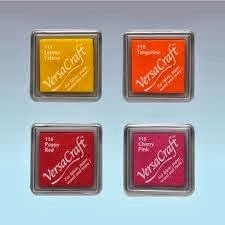 Versacolour-is a pigment inkpad, the ink is slow drying so ideal for using with your embossing powders. Available in small and large pads in a wide range of colours. Versacraft- is suitable for a wide range of surface including fabric wood and card. Heat set on fabric to make it permanent, the ink is archival and acid free. Available in small and large in a wide range of colours. 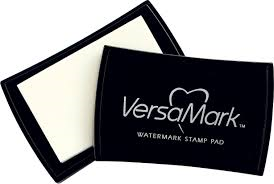 Versamark watermark stamp pad, acid free, archival, water based, and non-toxic. This pad has multiple uses, it is clear and sticky so you can use it for embossing powders, perfect pearls and mica powders. You can also use it to create a resist effect.